January is Jewish film festival month in the South, with festivals taking place in Mobile starting on Jan. 10, Baton Rouge on Jan. 13 and Jackson on Jan. 27. Two regional films that have been receiving a lot of publicity will be featured at the Mobile Jewish Film Festival in January. “Rosenwald” and “Deli Man” will bookend the Jan. 10 to 24 event, held at several venues in the city. “Rosenwald,” the story of the president of Sears who teamed with Alabama’s Booker T. Washington to develop over 5,000 “Rosenwald Schools” for black students from 1912 to 1933, will be screened at Springhill Avenue Temple on Jan. 10 at 2 p.m. It is this year’s Reita Franco Memorial Film. Stephanie Deutsch, author of “You Need a Schoolhouse,” will speak at the screening. On Jan. 12 at 7 p.m., the festival moves to the Laidlaw Performing Arts Center at the University of South Alabama for “Phoenix,” about Holocaust survivor and former cabaret singer Nelly Lenz, who returns to Berlin after facial reconstruction surgery for a bullet wound. Though she wanted to look exactly as she did before, the surgeon was unable to make it happen. “The Green Prince” will be screened at 7 p.m. on Jan. 13. It is the true story of Mosab Hassan Yousef, son of a founding member of Hamas, who was ready to fight Israel. But shocked by Hamas members’ behavior in prison and outside, he becomes a well-placed spy for Israel. As part of the Jan. 13 screening, Josh Warhit from StandWithUs will visit to speak with Mobile Young Adults about his experiences in moving to Israel and serving in the Israeli Defense Forces. The event will be at Ahavas Chesed at 5:45 p.m. and include a free pizza dinner. Ages 15 and up are also invited. The Jan. 14 film, also at 7 p.m., will be “Dough,” the story of a widowed Jewish baker in London whose bakery is past its prime and of no interest to his sons. He hires a Muslim teen from Darfur, who sells marijuana on the side. One day some of it accidentally finds its way into the challah dough, leading to a new appreciation for the bakery. The series returns to Springhill Avenue Temple on Jan 17 at 2 p.m. for “Secrets of War,” which is suitable for ages 10 and up. In 1943, 12-year-old best friends Tuur and Lambert are oblivious to the war around them, but Tuur’s father joins the resistance while Lambert’s parents ally with the Nazi party. The arrival of a dark-haired girl further complicates the boys’ friendship. “A Blind Hero: The Love of Otto Weidt” will be at the University of South Alabama Fairhope campus on Jan. 19 at 7 p.m. The docudrama tells the story of a Berlin brush and broom manufacturer who saves most of his staff, who are mostly Jewish and blind, from the Gestapo. For the first time, the film festival is reaching back in time for a classic with the Jan. 20 screening of “Hester Street,” a 1975 period drama. Carol Kane earned an Oscar nomination for Best Actress, playing a Jewish woman who arrives in New York from Russia in 1896 to join husband Jake, who has already been there for years and eager to adapt completely to life in America, shedding all traces of his past — including her. The film will be at the Ben May Library on Jan. 20 at 7 p.m.
“Once in a Lifetime” will be screened at Ahavas Chesed on Jan. 21 at 7 p.m. A teacher of rebellious inner city students in France is met with resistance over an assignment about child survivors of concentration camps, until they meet a Holocaust survivor. The festival concludes with “Deli Man,” a documentary exploring this part of American Jewish culture, centering on Ziggy Gruber of Houston’s Kenny and Ziggy’s. The Jan. 24 screening at 2 p.m. will be followed by a performance of Broadway showtunes and a deli meal. Tickets are available online through the Mobile Area Jewish Federation website, and are $8 per show for adults, $6 for seniors and students. 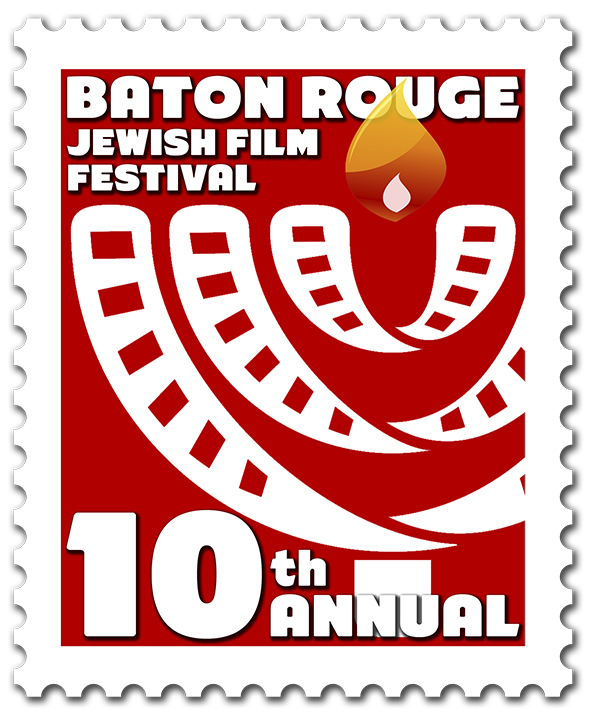 The Baton Rouge Jewish Film Festival, held at the Manship Theatre, celebrates its 10th anniversary, opening with “Deli Man” on Jan. 13 at 7 p.m.
“Mr. Kaplan” screens on Jan. 14 at 7 p.m. The film is about a Jewish man who fled Europe during World War II and built a quiet life in Uruguay. Now 76, he starts to question his life and his worth. Then his granddaughter mentions a German who runs a café near the beach. Convinced he has uncovered an escaped Nazi, he teams with a slacker cop to try and abduct him and get justice. Director Roberta Grossman will speak at the screening of “Above and Beyond” on Jan. 16 at 7:30 p.m. The story of the birth of Israel’s Air Force in 1948, the film was produced by Nancy Spielberg and was last year’s Reita Franco Memorial Film in Mobile. Spielberg was inspired to produce this film after reading a 2011 obituary for Al Schwimmer, who was credited with being a founder of the Israeli Air Force. She researched the story of U.S. and Canadian pilots, World War II veterans, who were inspired to fight for Israel’s independence despite the risk of losing their U.S. citizenship because of an administration embargo. The pilots — both Jews and non-Jews — trained and coordinated in secret to stay ahead of the FBI and played a critical role in repelling five invading Arab armies in 1948 after Israel declared independence. Some of them wound up flying repurposed Nazi planes, which had been abandoned in Czechoslovakia, that they had tried to shoot down a few years earlier. “Look at Us Now, Mother!” completes the festival on Jan. 17 at 3 p.m. Director Gayle Kirschenbaum will speak following the screening. The film came from audience reaction to a short film Kirschenbaum had made about her mother’s attempt to get her to have a nose job. Tickets are $8.50 per screening. The Baton Rouge festival also hosts a student screening of a Holocaust-themed film. This year’s is “No Place on Earth,” which will be screened on Jan. 12 and 13 at 9 a.m. and noon at Independence Park Theatre. “No Place On Earth” is a docudrama about a New York police officer and caving enthusiast who went exploring in Ukraine and found caves that had been used by Jews escaping the Holocaust. He then went on a quest to find survivors who had lived there, bringing a few of them back for a visit. Jewish Cinema Mississippi rounds out the region’s offerings at the end of the month. All screenings are at the Malco Grandview in Madison. The first three films are at 7 p.m., and the Jan. 31 film is at 2 p.m. The festival is sponsored by Beth Israel in Jackson and the Jewish Culture Organization at Millsaps. The festival starts with “Bulgarian Rhapsody” on Jan. 27. While it is set in Bulgaria in 1943, the Holocaust is a backdrop to the story of a love triangle among three teens — two Jewish and one non-Jewish. The film explore how relations between Jews and other Bulgarians were generally good, even though Bulgaria was allied with the Nazis. “Apples from the Desert” is the Jan. 28 offering. It is the story of Rebecca Abarnabel, a single daughter born into an Orthodox Sephardic family in Jerusalem. Tired of the lifestyle that her father, Reuven, has forced upon her, she and her mother, Victoria, go on a life-changing journey between worlds. She starts dance classes and has a relationship with a secular kibbutznik, prompting her father to arrange a marriage with a widower. The film was nominated for three Israeli Academy Awards. On Jan. 30, the sports comedy “Kicking Out Shoshana” will be screened. In Jerusalem, macho Israeli football player Ami Shoshan flirts with the girlfriend of a Mafia boss. The boss then forces him to pose as a homosexual, which leads to him being banned by his team and shunned by fans, but he becomes a hero of the gay community. The festival concludes on Jan. 31 with a documentary about two beloved Jewish icons — Sholom Aleichem and Theodore Bikel. “Theodore Bikel: In the Shoes of Sholom Aleichem” combines Bikel’s charismatic storytelling and masterful performances with a broader exploration of Aleichem’s remarkable life and work. A pioneer of modern Jewish literature who championed and luxuriated in the Yiddish language, Sholom Aleichem created dozens of indelible characters. His Tevye the Milkman, Motl the Cantor’s Son, and Menachem Mendl — “shtetl Jews” for whom humor and pathos were two sides of the same Yiddish coin — remain invaluable windows into pre-war Eastern European Jewish life, real and imagined. Bikel’s career spanned more than 150 screen roles, including an Oscar-nominated turn in “The Defiant Ones,” and countless stage and musical productions, is also the foremost interpreter of Sholom Aleichem’s work. Having recently died at the age of 90, Bikel played Tevye the Milkman on stage more than 2,000 times, and he animated Aleichem’s work through his creation of two celebrated musical plays about the great Russian author. An adult festival pass is $35 before Jan. 18, $40 after. Student festival passes are $15 before Jan. 18, $20 after. Individual films are $10 for adults, $5 for students.